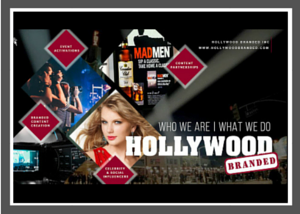 This short deck provides a quick understanding of who Hollywood Branded is as an agency, and what services we offer brand partners. Download Our Agency Overview Now! We wanted to thank you for all you did over the past couples of months with setting up Club Med's partnership with (U.S. Olympic Triathlete) Hunter Kemper. Hunter was absolutely wonderful to work with, and we know there could not have been a better fit for Club Med! Committed and responsive…worked hard to best position Philips with branded placement based on corporate guidelines and target demographics…knowledgeable about the ins and outs and the who’s who inside the studios and production companies…active network in the entertainment world and knew what programs were about to be piloted and had us in mind for new programming with products that would be a good fit…Easy to work with, fun and friendly. Knows the ins and outs of organizing promotions that make an impact for clients. Not only goes the extra mile, but also a pleasure to work with.